Chartered Accountancy has long been a male-dominated profession. But that is slowly changing, with the help of the AWCA (African Women Chartered Accountants) forum. In this article we explore the impact this organisation is making on the rise of African women CAs in South Africa. What is the AWCA and how did it come about? Around 2000, four women Sindi Mabaso Koyana, Sindi Zilwa, Zodwa Manase and Tshidi Mokgabudi started discussions with Zanele Mbeki, South Africa’s first lady at the time. Their bold vision? To create an organisation that would encourage, support and accelerate the advancement of Black women CAs, qualified and aspiring. Why was this such a burning need? Compared to the demographics of SA as a whole, Black women are sorely underrepresented in South Africa’s CA profession. According to SAICA statistics, out of all of South Africa’s registered CAs, only 20% are African, Coloured, Indian, with Black women CAs making up just 8,7% (and African Black CAs coming in even lower at only 7,2%). This is compounded by very low levels of women in the top tiers of South Africa’s workforce, even though women comprise 52% of our population. Looking at the BWA’s 2012 South African Women in Leadership Census, in SA women make up only 3.6% of CEOs/MDs, 17.1% of directors and 21.4% of executive managers. On top of this, aspiring Black women have the added challenges of disadvantaged backgrounds and an education which does not equip them adequately for the rigorous accountancy profession. And so in 2002, the AWCA was born. Tito Mboweni, then Governor of the SA Reserve Bank, came on board as their patron (later to be replaced by Monhla Hlahla, the AWCA’s current patron). Why are Chartered Accountants so important? As Lesego Sennelo, the AWCA’s President, explains, numbers are a fundamental part of any business, and CAs are key to that. CAs also have a significant impact on the economy. “The accounting profession is very broad, which means CAs cut across many parts of business, including entrepreneurship, tax, governance and strategy,” adds Sennelo. “CAs can also be very good business coaches to fledgling businesses.” On top of this, CAs are focused on responsible leadership – indeed, this is one of SAICA’s five strategic arms. All this translates into CA dominance at board level in South Africa. According to SAICA’s 2013 stats for the 200 largest companies listed on the JSE, 30% of CEOs/MDs, 90% of Financial Directors and 35% of board directorships are Chartered Accountants South Africa [CAs(SA)]. Many of South Africa’s top business leaders are CAs(SA). This includes South Africa’s first black CA Professor Wiseman Nkuhlu, Ivan Glasenberg Chief Executive at Glencore Xstrata, Nonkululeko Goboda Executive Chairman of SizweNtsalubaGobodo and SA’s first Black female CA, FirstRand CEO Sizwe Nxasana, Investec CEO Stephen Koseff, Nothando Ndebele MD of Renaissance Capital, and Bidvest’s Brian Joffe. leadership development of qualified African women CAs to take up key decision-making positions. This is summed up in the AWCA’s motto “Develop as we lead“. Talking to the strategy’s first tier, AWCA President Sennelo says: “It takes more than seven years to create a CA”. So the AWCA begins early, reaching out to high school girls countrywide, especially in rural areas, making them aware of the CA profession. The AWCA needs to start early, before these learners choose their subjects for Grade 12, because their subject choices in high school will impact their career choices later. If these learners choose maths literacy instead of maths as a high school subject, they cannot become CAs. But it isn’t only about driving the accounting profession, at the expense of other careers. “We also partner with doctors and engineers, to give career options to learners,” adds Sennelo. With the role of CFO changing significantly, a big challenge is keeping the CA profession relevant. “Although numbers aid business decisions, we need to look broader and not have tunnel vision,” says Sennelo. To broaden thinking in the CA profession, the AWCA runs programmes such as quarterly power teas and roundtable discussions around topical business issues. They also partner with leading institutions such as Fordham University, GIBS (in partnership with the IWFSA) and Duke University, who runs the Women Leading Africa initiative. This develops the board leadership skills of AWCA members, empowering them to grow graciously into board roles. 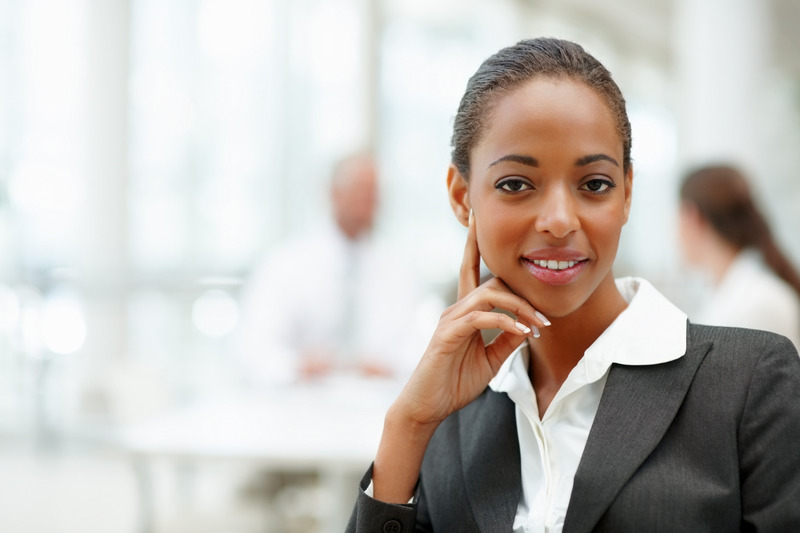 The AWCA also maintains a database of black female CAs for non-executive director roles, where companies can find board members and advisors. This speaks to the AWCA strategy’s third tier (developing leaders). After only 12 years, the AWCA is already making a big impact. In 2002, when the AWCA opened its doors, there were only 407 black women CAs in SA. Fast-forward to 2014, when this number had climbed to 3,445 registered (out of South Africa’s 36,000+ SAICA-registered CAs). In 2014 alone, over 1,000 Black CAs qualified. Of these, an impressive 665 were Black women CAs. That means more black women CAs qualified in one year than the total number of Black women CAs in South Africa in 2002! The AWCA has played a major role in this growth. So too have SAICA’s Thuthuka bursary fund, Accountancy SA (SA’s leading accountancy journal) and organisations like ABASA (the Association for the Advancement of Black Accountants of South Africa). In 2005 the AWCA launched their own bursary fund to pay for the education of promising black women on the road to becoming CAs. This speaks to their strategy’s second tier (nurturing and training). Since then, 63 women have received AWCA bursaries. The very first recipient was Yondela Juqu, back in 2006. Juqu was born in the Eastern Cape, in the rural community of Mount Fletcher. As a young girl aged 7 she relocated with her mother to Umtata (now called Mthatha). Juqu’s mother is a single parent and a teacher, so, without the AWCA bursary, would probably have been unable to afford Juqu’s expensive university studies. As Juqu herself said: “University costs in South Africa are high and often exclude many people – at times, I had doubts as to whether I would realise my dream of becoming a Chartered Accountant.” What was it about Juqu that made the AWCA choose her as the most deserving recipient of the first AWCA bursary? According to the AWCA, it was her determination, resilience and dedication to becoming a CA. In 2010 Juqu qualified as a CA, and is now Financial Manager at Standard Bank in Johannesburg. Thanks to organisations like the AWCA, Black women CAs have come a long way in the accounting profession. Indeed, according to SAICA, for the five years up to 2013, the number of female CAs(SA) has climbed by 50% and the number of black CAs(SA) by a massive 80%. There’s still a long way to go, though. However, with strong, passionate women like the AWCA’s Lesego Sennelo leading the charge, that growth won’t be slowing anytime soon.